ABCDchicago: Black Wednesday - Annual Thanksgiving Eve Extravaganza! 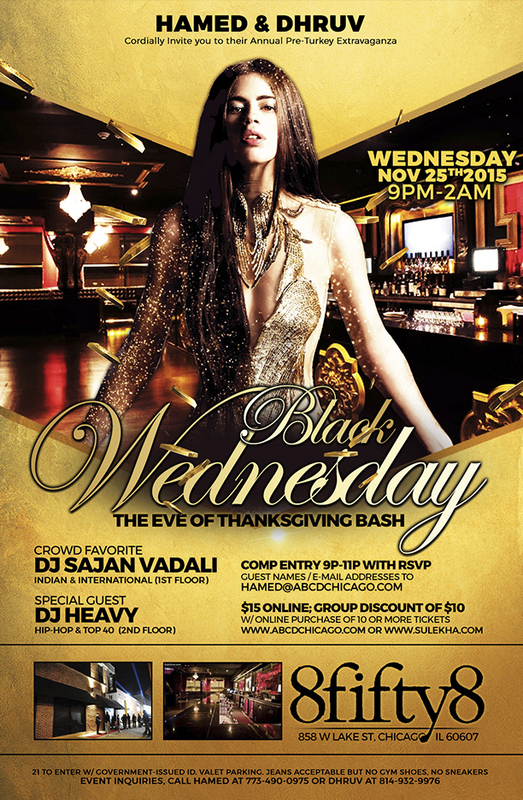 Black Wednesday - Annual Thanksgiving Eve Extravaganza! Hamed & Dhruv cordially invite you to their annual pre-Turkey extravaganza! Crowd favorite, DJ Sajan Vadali spins Indian and International on 1st floor. Special guest, DJ Heavy spins Hip-Hop and Top 40 on 2nd floor.